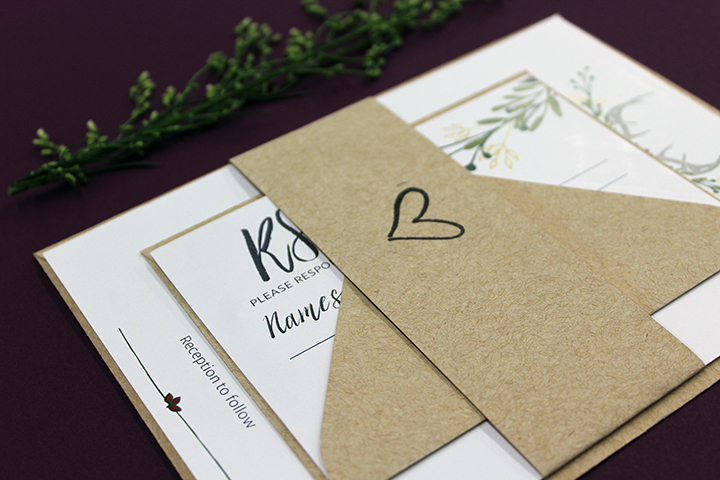 Check back soon…this page will be updated as we will be adding our 2018 custom wedding stationery designs. The Douglas suite might be the most challenging suite I have done. It pushed me to think outside of the box more than ever. And I loved it. The beginning stages of this design are nothing like the end result. 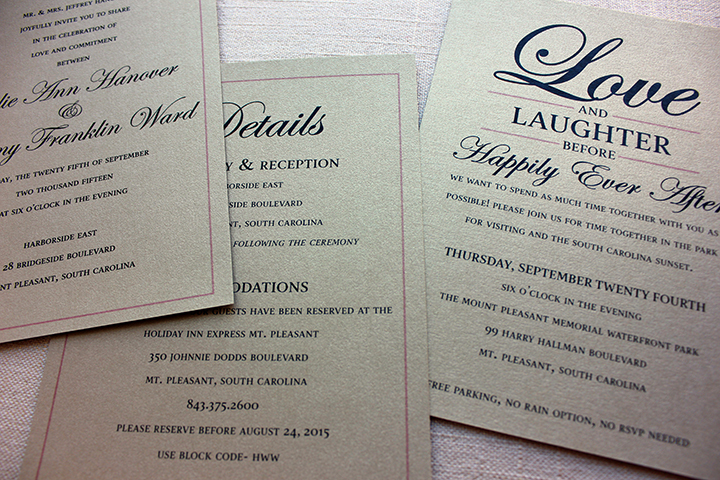 The copper foil stamping really brings the invite to life and you can't ignore that metallic copper envelope. 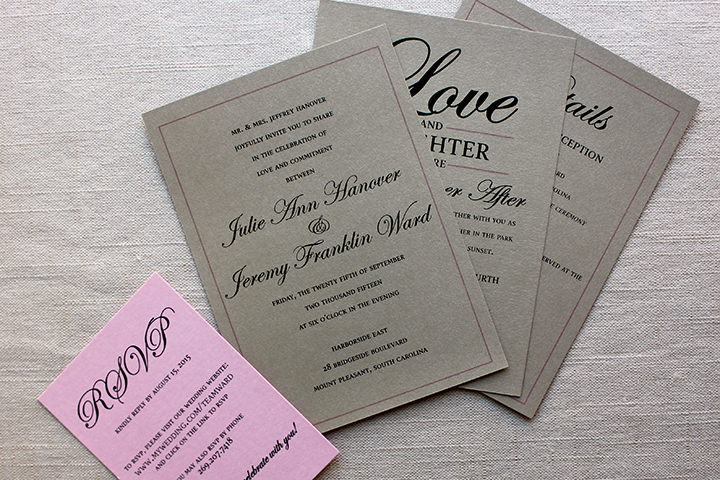 The perfect meeting of modern + geometric + copper + baby blue + floral. Such a beautiful blend of navy and peach. The peony is just the icing on the cake and ties it all together. When designing these pieces, I was continually bringing myself back to a phrase I recently read on a graphic design blog, "Make it simple, yet significant." 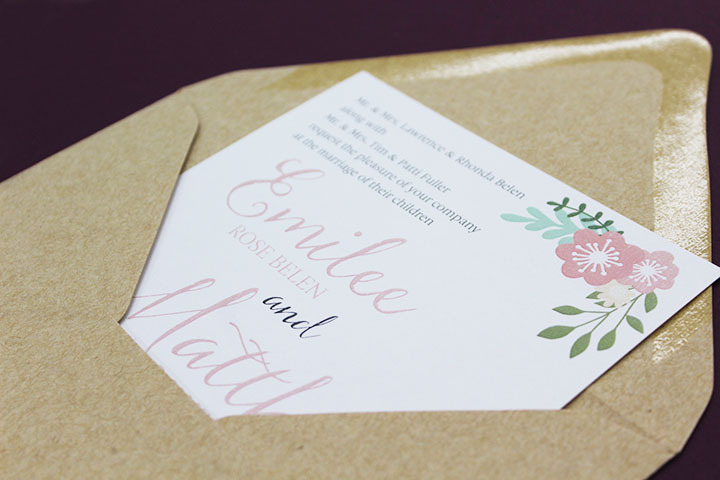 That's how I feel about the peony graphic, it is so simple, yet so significant and integral to the overall feel of the design. 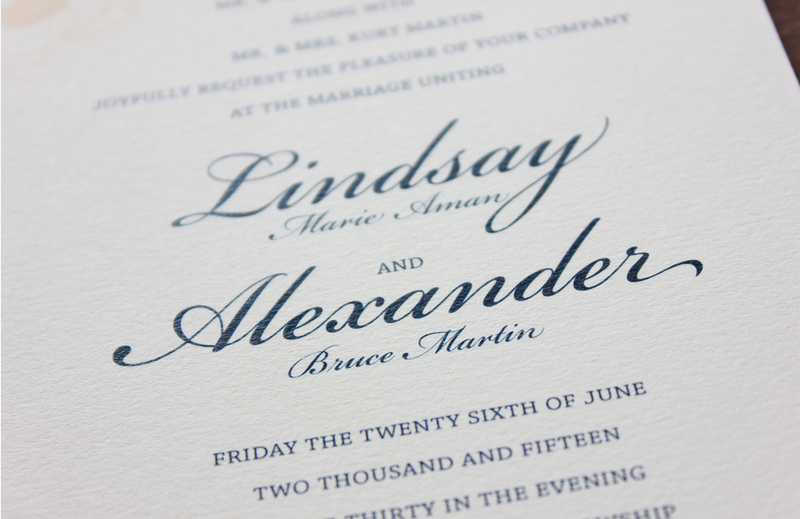 I love this blend of mint and navy. 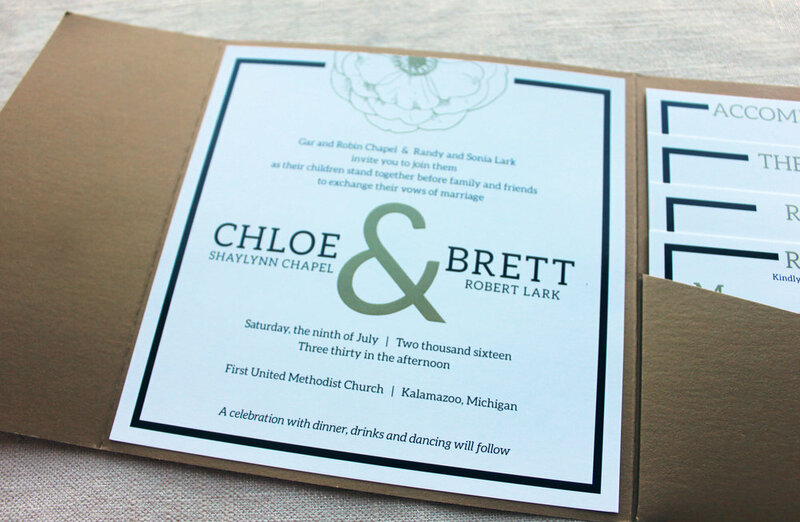 It was so fitting for a nautical wedding at a yacth club in Traverse City, MI. 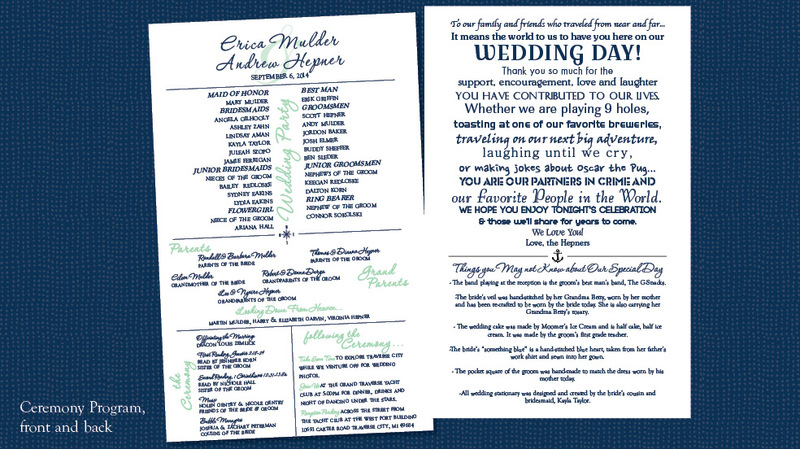 This wedding suite was so fun to create. 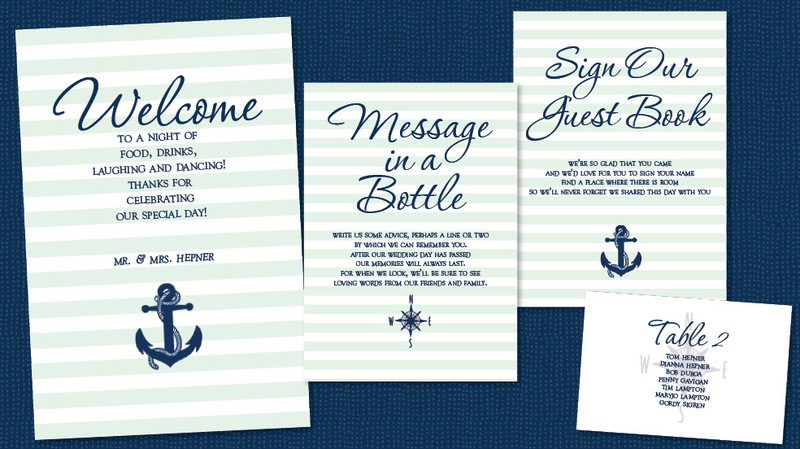 The stationary was printed on white-gold metallic paper which added so much class and beauty and really fit in with the nautical theme. 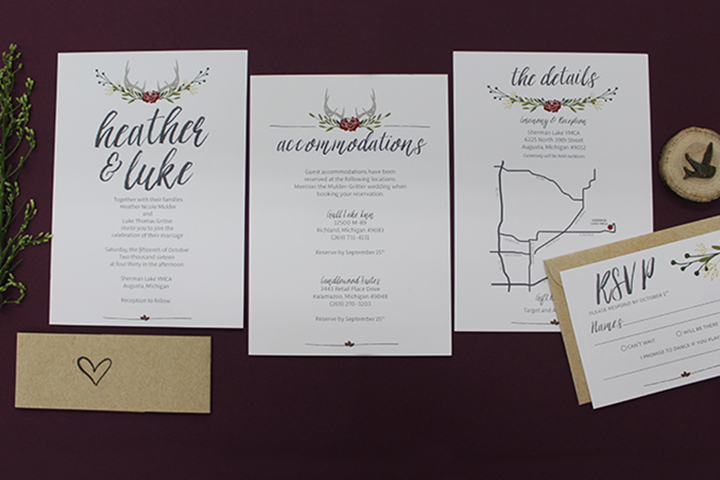 The bride took a brad fastener in the upper left corner and fastened together the invitation, nearby points of interest, accommodations, and the RSVP. 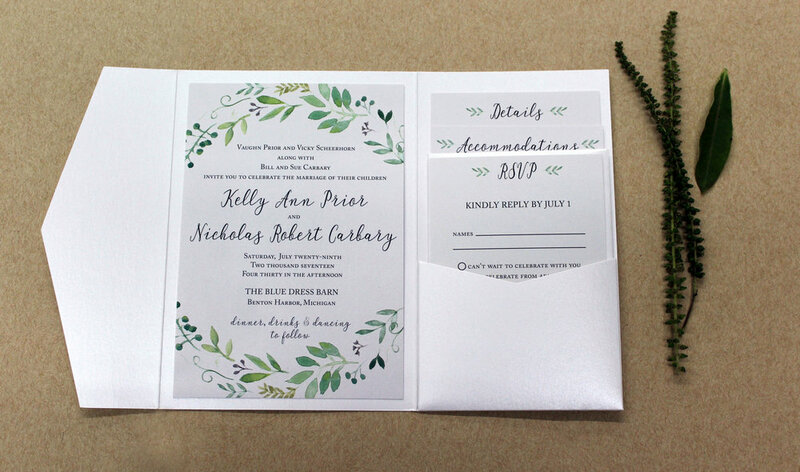 The RSVP was a tear-off piece. 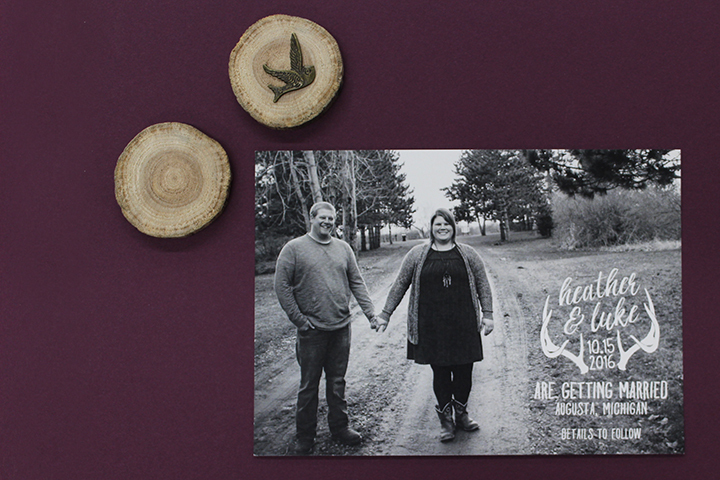 The invitation design was carried through to many pieces used at the reception.